You’re snowed under with leftovers. You’re trying your hardest to work through a turkey fog. Incidentally, Turkey Fog is the name of our new hair band. Or maybe you were a psychopath and got up early this morning to fist fight others in the eternal struggle towards CAPITALISM! This is something to help you send some of those mashed potatoes down. Combine the vodka and grenadine in a cocktail shaker filled with ice and shake well. Strain into a chilled cocktail glass and then top with the ginger ale. Serve. 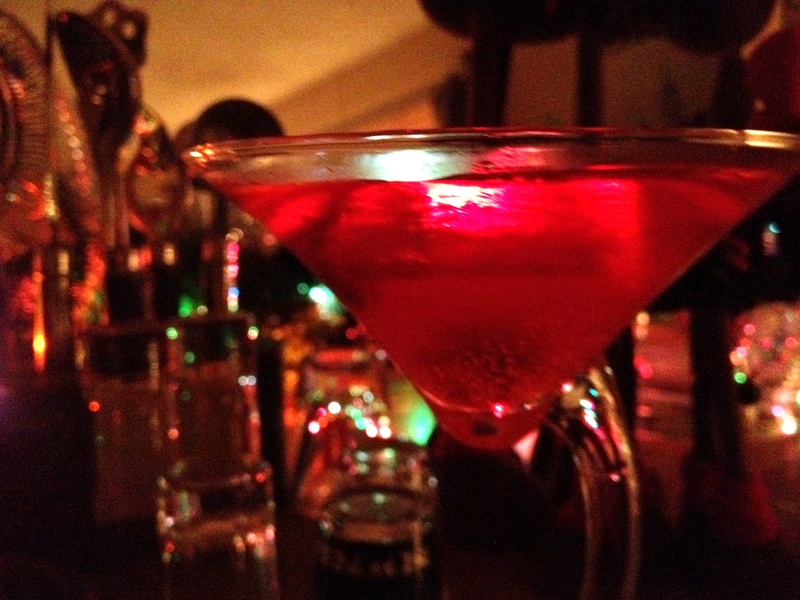 Strong pomegranate flavor with that sweetness of the vodka bringing up the rear. Beautiful red color.